I am a textile artist, specialising in creating pictures using hand and machine embroidery. 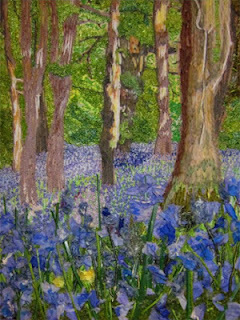 The picture above 'Bluebell Woods' is mixed media, with hand embellished embroidery. 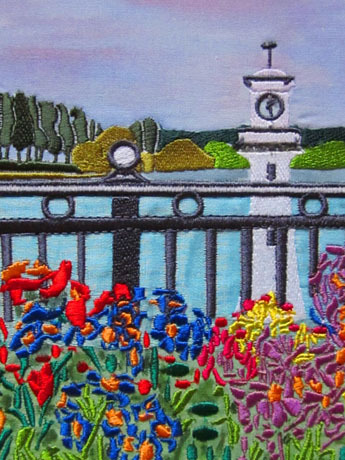 The picture below 'Roath Park' is machine embroidery on layered fabric. 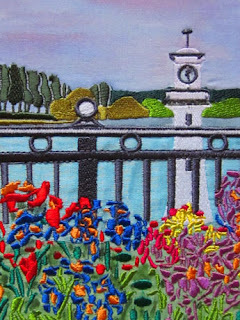 Fabulous colours and texture. Keep up the good work.